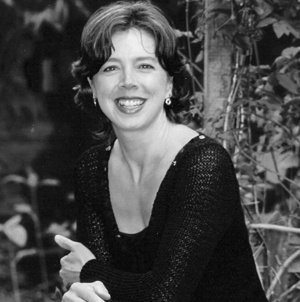 Karen studied at the Guildhall School of Music and Drama with Peter Lloyd and subsequently won a Fulbright Scholarship and Harkness Fellowship to study in Vienna with Wolfgang Schulz and in New York with Thomas Nyfenger. Her early successes include winning the woodwind section of the BBC TV Young Musician of the Year competition and the Gold Medal in the Shell/London Symphony Orchestra Scholarship. Whilst completing her studies in the USA, she was appointed Principal Flute of the Bournemouth Symphony Orchestra, a position she held for 5 years before returning to London. She is in great demand as guest principal flute with all the major London orchestras and ensembles including the London Philharmonic Orchestra, Philharmonia and London Sinfonietta. In addition, Karen is principal flute of both the London Chamber Orchestra and the City of London Sinfonia and in 2014 was invited to play with the World Orchestra for Peace. She combines this with regular solo engagements, chamber music projects and commercial studio work including the film scores to Harry Potter, Sweeney Todd and Bridget Jones. Previously having held teaching posts at the Royal Northern College of Music and Trinity College of Music, London, Karen has a busy schedule as one of the UK’s leading flute teachers giving masterclasses across the country, as well as coaching for orchestras such as the National Youth Orchestra and Kent Youth Orchestra. In 2004 Karen became a professor at the Royal Academy of Music. Sign up for our free monthly newsletter! Hear from the Principal Chairs team every month and get the scoop on new and upcoming videos, Principal Chairs artists and industry events. Copyright © 2013–18 Principal Chairs. All rights reserved.